I met with a lady yesterday, Alison, a newly ordained Deacon in the Church of England. One of the things that were on my list of things to do was to find myself a ‘Spiritual Director’ or mentor. We had an amazing couple of things in common, one of which was home education – she had home educated her children (what are the chances?!). She was very encouraging, and talked about how long and hard she had needed to fight in order to get to ordination. “Don’t let them discourage you”, she said. When she asked me about my vocation, and why the Church of England, I was able to say immediately how and why I felt I had been called, and why I am in the CofE. She said that I articulated that very well, which rather tickled me, as I did rather make it up on the spot. But when she asked me why the Priesthood, as opposed to any other kind of Christian ministry, I was a little bit stumped. I tend to believe quite strongly in the Priesthood of all believers, which we discussed, and we agreed that this is a good argument in favour of women leaders / ministers / Priests. But I realised that I do need to have a deeper understanding of what it means to be a Priest. And I also realised that I am fudging things a bit. I am still Messianic, I am still evangelical. In fact, in many ways, I am still conservative, and as much as I embrace the traditionally liberal qualities of love, tolerance and social justice, I don’t think that will change. I don’t think those ‘liberal’ qualities are at all inconsistent with a conservative view of scripture. But can I be consistent as a conservative, Messianic Jewish, evangelical, (Salvationist?!) not-really-feminist, woman Priest in the Church of England? I don’t know. I hear the call, but I don’t know where it’s leading me. No decisions need to be made at this point; I am on a journey, so I will just keep taking small steps forward, and trust that I am following the right path. I didn’t discuss all of these things with Alison. I think that, although I am keen to meet with her again, I really need to find somebody else to be a real ‘mentor’, even if she is willing to fulfill the official role of ‘Spiritual Director’. But I really need somebody who is familiar with, or has grappled with the same issues as I have to deal with. Just had a quick read about your complicated life & this sprung to mind NOT as a hard criticism of your seeking path but a query as to how a priesthood position in CoE attracted you when you seem to have grasped the revelation of the Torah of Grace in Messiah. As believers we all directly pray to Yeshuah as individuals & corporately as brothers & sisters with evangelists, elders, prophets, teachers, etc each with a gift given by the Spirit for the edification of the body of Christ and no hint of Nicolatianism. The greatest & most knowledgeable was to have no man given or assumed title. The greater is a greater servant. What a person was in Christ was apparent by the gift given by the Spirit …..nothing else was a concern. Any person of the assembly was permitted to prophecy by the Spirit so that the burden & responsibility was shared amongst the assembly for its growth & direction according to the Spirit. This seems so the “laity” did not become a “laity” by being disconnected or disempowered from personal & corporate growth by an individual human leader. Each person was part & not spectator & the group of elders oversaw in each assembly to teach Scripture to lift up their brethren to the discernment of good & evil according to God’s Word so each person would be competent in testing for truth & living it. The guidelines for such were always mindful of order and self control & an inclusive process of discernment openly performed with the assembly. A great portion of the NT leans heavily on showing us this model. Even in evangelising most often the Apostles were sent out in pairs for church planting. Most travels refer to other brothers/sisters as well. As a C of E priest is it possible you have submitted yourself to an organisational hierarchy of man which seems to contradict or blur these models of building assemblies on a scriptural foundation? Perhaps you have been put in this strange position to witness the need of the Protestant church to look more closely into the doctrine of grace that distorts the simple truth of being grafted into the root of Torah truth as a wild branch. Perhaps to bring up the contrast between, obedience of Faith counted to Abraham as righteousness which is a light yoke instead of obedience being “seeking salvation through works” the heavy yoke of denying Christ’s forgiveness. John did lay down his life for another. Although the other may never have come to repentance…….perhaps he did. Discernment is of the Spirit & our judgments fail us miserably when we ourselves live in sin. Personal purity before the Father seems the only way for any of us not to judge in harshness whilst delivering the immutable message of the Eternal Truth of the Father’s only Way for Life. I believe that is why in most times that greatest acceptance or rejection of the Kingdom of Elohim comes from preaching His pure Word & that takes steps into the ethereal world of the Spirit (the greater reality) & unless we have taken the demands of Jesus of the cost of discipleship seriously & paid them daily so we are unable to talk ourselves into rationalisations(worldliness) & actually have the Faith that does move the mountain. My feeling is although many commands have been defiled for so long; going along with this “change” is not bringing eternal life to those whom may have God’s seed in them waiting to be watered with the truth of their condition for repentance. We may need to do nothing more than trust & be bearers of truth & wear the results whether we are a stench or a perfume…… He does know who are His. Be blessed & you may find something in natzarene Israel & 119 ministries. I think it is very important for those who follow Messiah to realise Revelations says we must follow in Spirit & Truth. Many have the Spirit but are rejecting His lead back into the Truth of Torah of the Path, Truth & Life that Jesus lived out as an example for us to follow. The syncretic worship practices that have been hangovers from Catholicism and the early church “fathers” not the Father’s of the Faith have denied many the Faith once delivered. The exodus generation is for our admonition simply because they did not exhibit the faith of obedience to enter the promise land. 2Peter3:15 (hope it is the correct reference for you) spoke clearly that Pauls teachings were apt to be misunderstood & twisted by those who were ignorant as they do the other Scriptures to their own destruction. All in relation to Lawlessness. Very strong words indeed. Hope I haven’t overdone it Life for Beginners. Be blessed & always keep knocking for Truth & He will answer You. You’re right, it is certainly a very odd direction for a Torah-observant Messianic to head in. It is not one I would have chosen. But I was removed five years ago from a location with a Messianic congregation to a place with very few options. In Cornwall generally it is between Church of England and Methodist. In this town there is an additional option of a Pentecostal church, but in fact the CofE was the only one with solid teaching (as I have said previously, if the CofE would stick to its own founding documents it wouldn’t go far wrong, but of course in general it hasn’t. I have already had to change parishes because the new vicar was so bizarrely liberal that he couldn’t cope with an evangelical, let alone a Messianic!) Of course I don’t agree with everything but it is a matter of knowing where your line of acceptable compromise must be drawn. For me I felt that, for as long as I was able, I should be a voice for Israel and Torah. In a way, one of the beauties of the CofE is freedom – I could have liberty to speak out those things, but on the other hand of course it has compromised to the point of allowing all sorts of heresies, and putting myself under the authority of such extreme liberals does give me pause. I managed to get to the Salvation Army today, the first time in a couple of months. I came away disheartened and discouraged. I really think that, in rural places like this, and perhaps particularly in Cornwall, the Salvation Army will die unless it makes some changes and soon. In this particular corps, there are no young people, no families, no children. Only 3 uniformed members, including the corps officer. 13 attendees in total including myself and the corps officer. The only midweek meetings / outreach a monthly Bible study. Off the top of my head, there are a bunch of things that could be done to build up ailing corps. 1. Committed, experienced uniformed salvationists should be encouraged to retire to Devon and Cornwall and their families should be encouraged to visit. 3. Young salvationists should be invited to spend a gap mission year, unpaid (or perhaps supported by their sending corps) but with free board and lodging, to work with the corps. The only limit to the number and length (number of years) of these mission places is the number of people willing to feed and house them. 4. Regular marching, with the Salvation Army banner, around the town on the way to the meeting on a Sunday, handing out leaflets inviting people to join the meeting. 5. Don’t limit yourselves to what you can achieve now. Do some research to find out what local needs are, pray about them and take a step of faith to start meeting those needs. Make prayer a priority. 6. Don’t assume that it’s enough to be a friendly and welcoming bunch. You need to be investing in real relationships. Superficial friendships aren’t much use to anybody. 7. Don’t abandon the hymns, don’t replace them with choruses and modern songs, but do make sure that you choose hymns that are well-known, catchy and joyful, especially for the final hymn. 8. Other corps within striking distance should be willing to ‘loan out’ bandsmen and songsters to stand in and teach until resident corps members are able to form a band themselves. There’s more I could say but this will do for now. I’m torn between enthusiasm and frustration. I stopped going regularly because my request to become a soldier was ignored and not pursued despite many months of faithful attendance. But I love the Army and I hope they will do something about their dwindling numbers before it’s too late. I have always, for as long as I can remember, had a sense of ‘calling’. I thought for years that I was destined to be a missionary, and I was convinced I would be a minister’s wife but I ended up divorced and re-married to a non-Christian so that was the end of that. But that sense of ‘calling’, that little voice calling me into ministry has become more insistent as I have got older. While I was in the Messianic fellowship, I heard the call more loudly than ever, but there was simply no clear path to pursue. In most of the denominations I have had dealings with, women preachers have been an absolute no-no, but more recently of course again, I have been involved with Pentecostal churches, The Salvation Army and the Church of England, all of whom welcome female candidates. I’m sure I have mentioned before that I considered Salvation Army officership as far back as my teens, but then when I got married, my then Officer’s Kid husband was dead against it; he had been totally put off churches, Christianity in general and The Salvation Army in particular due to his experience as an ‘OK’. More recently, although I have felt the call, The Salvation Army has presented just too many obstacles – you have to be willing to move to London for training, and then be willing to be sent anywhere in the UK (or even, potentially the World as I speak other languages and have connections in various places). I’m not free to do either of those things. And I’m also so far away from a Corps that the whole thing has just been impractical from the get-go. As much as I love the Army, I can’t see a way round the obstacles. For the last 6 months, I have been attending my local Anglican, and over the last few weeks I have been exploring the possibility of Ordination. Yesterday, I met with the Vocations Officer for an initial interview, and went through my journey of faith with him. I’ve actually been having a little bit of a love affair with the Anglican church – despite all its faults and foibles, I have been surprised by how much I love the liturgy, the set prayers, the music, and even, despite myself, the gravitas of the Eucharist. We talked about all the options for ministry and service within the Church of England, and were I to get that far, training for Ordination would be much more local and not full time, all of which makes it more manageable for my limitations. The vocations officer told me that my age was no barrier, but he did make it clear that the chances of actually becoming a paid Priest (as opposed to a self-supporting one) are extremely slim, and could take a lot more years to achieve. I didn’t realise until he told me this that it would be an issue for me, but I realise now that it is. There’s just no way I could afford to do it as a hobby, and I find that my ‘tentmaking’ skills are limited, at least in terms of being able to bring in the money. Of course nobody goes into the ministry for financial reasons, but we do have to eat, and I have a lot of mouths to feed. One thing that was encouraging though was that the vocations officer did confirm to me that he recognised that I do have a calling. So it’s now in my hands, whether I want to pursue it or not. So I’m back to square one, I hear the call, but I can’t determine from which direction it’s calling me. I wanted to share this post because Les asks some very worthy questions and I think his answers are good. I also think that questioning in general – and even being angry with God while desperately wanting to believe and to love Him – is good and healthy. The stifling of questioning, and the lack of compassion and understanding around the issues of grief and depression are among the things that made me leave the church a decade ago; and conversely, the welcoming of questioning, and the understanding of pain and suffering (as integral to human experience in a broken world) were among the things that attracted me to Judaism. And now, having a connection again with the church in the form of The Salvation Army, I think that its core Mission of restoring the world to God by restoring and rescuing individuals (especially those who are so low the other churches don’t want them!) answers some of those questions for me. That is a haunting observation. Thanks for sharing. I have been thinking recently about what it means to be Messianic. For three years now I have had no Messianic fellowship at all – there is simply nothing available in this part of the world – and so, after being completely isolated for so long (and even without internet fellowship) I have started again to look for Christian fellowship, and have had to determine where I can be in agreement, and where I must draw the line. So what does Messianic mean? Messianic Judaism, or the Messianic faith is far from homogenous – there is a broad spectrum ranging from something which to all intents and purposes resembles mainstream Christianity, right through to something which resembles something more like Orthodox Judaism.I wrote this basic list in around 2007 in an attempt to formulate some `distinctives’ (differences from mainstream Christianity) to which all Messianics would be able to agree. We fully identify ourselves with the Jewish people: For those of us who are of a Jewish background and heritage, we remain Jews. For those of us who are of a gentile background and heritage, we see ourselves as ‘grafted in’ to the Covenant People, Israel. We do not remain `gentiles’ in the sense of ‘pagan’ (although the Hebrew word ‘goyim’ also carries the meaning ‘Nations’). We do not stop being English / French / African / Australian or whatever, and we do not become `Jews’. To be fair though, even this is not without contention. Most Jewish congregations do not accept non-Jews as part of Israel, denoting this whole idea as ‘replacement theology’ and saying that non-Jews can be part of the ‘commonwealth’ but never properly part of Israel. I don’t personally think that is a fair criticism. We are supposed to be ‘One New Man’, the Body of Christ. Read Romans 11 and Ephesians 2. What if a Jewish Messianic marries a non-Jewish Messianic? Are their children Jewish? No, I am convinced that these distinctions should not be perpetuated indefinitely. There is to be neither Jew nor Greek, male nor female. But as with other race problems in the Church at large, we’re not there yet. Additionally, some adopt a kosher diet – abstaining from pork and shellfish – understanding that Paul’s vision was a metaphor for welcoming non-Jewish people into the faith and not, as Christians understand it, abandoning the food laws themselves. There is an unfortunate tendency to get stuck in the minutiae of the Feasts without going on to searching out the ‘Weightier Matters of the Law’. I have been down that path myself, and I have seen good people disappear into an abyss of rules and regulations, losing their love and compassion along the way. It’s not a pretty picture. The weightier matters of the Law are pretty clear from scripture – they include Justice (justice for the poor, the downtrodden, the disadvantaged, the widow, the orphan, the imprisoned, the victim), Mercy and Love. For those reasons, the church with which I have involved myself recently – although it may not seem an obvious choice, given their love of Christmas – is The Salvation Army. Obviously we differ on the significance of the sabbath and the festivals; and I am pretty sure it is a denomination that tends towards replacement theology. I am pretty sure we differ theologically. I’m also pretty sure that it wouldn’t be the most comfortable place for a Messianic believer. The Messianic view of the Law, Torah, is quite different from mainstream Christianity – it is not a burdensome, undesirable curse of a thing that you would want to get rid of. Instead, it is viewed as a gift. A beautiful, restful, peaceful haven of safety. 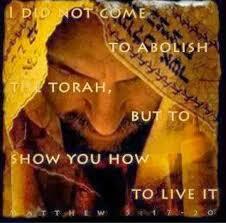 Torah is viewed as freedom, not something we need to be freed from. The Salvation Army, perhaps alone in having the ‘liberal’ values of wanting to help the poor and disadvantaged, tends to be fairly conservative theologically in terms of valuing ‘holiness’. Although they divide the Law into the classic ‘Moral, Civil and Ceremonial’ categories, rejecting the ‘Civil’ and ‘Ceremonial’, they do at least continue to believe that the Law is a good thing. I was thinking today that, if I were asked to ‘work’ on Shabbat (in terms of Salvation Army work), for instance, I would struggle, I would certainly wrestle with whether or not I could or should ‘work’. But it occurred to me to wonder what constitutes Biblical ‘work’ – I generally wouldn’t cook or shop on the sabbath, but what about healing the sick? feeding the hungry? rescuing the endangered? At this point, I haven’t been asked to do anything that would make me struggle or question. But I think that it would be possible to retain integrity as a Messianic believer at the same time as giving up the gift of the sabbath to do good. After all, isn’t that what Yeshua himself did? I don’t mean to be offensive, but I think part of the problem is the over emphasis of being ‘Jewish’ or ‘Jewishness.’ The vast majority of Israel is not Jewish and there are many many Christians who are every bit as much Israel as are the Jews. This is not replacement theology, it is simple genetic fact. Personally I could care less whether the Jews recognize me or not, it’s not their say so as to who is and who is not Israel, it never has been. It is YHVH and YHVH alone who makes the distinction. The planting is of YHVH not the Jews, not the Christians, not the Messianics. Also I don’t think that Yahshua ever gave up the ‘gift of the Sabbath’ what he did was to set it free from the corrupted version being taught by the Rabbi’s. As long as men take titles to themselves as to identify themselves with others then the world will never know the ONE who sent HIM. This will only happen when we enter into Yahshua’s prayer and enter it fervently to be ONE with the Father, One with the Son. When that happens both collectively and individually then the world will know that YHVH sent Him. That’s the only recognition that anyone needs. I stumbled on this article listing books that every Salvationist should read. Actually some of them perhaps every Christian should read. I thought I would share the list as I will be adding at least some of these titles to my long-term ‘to read’ list. 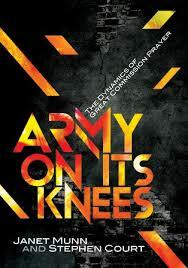 “Army on Its Knees” by Janet Munn and Stephen Court. This isn’t the best book I’ve ever read on prayer, by any means, but I do like the metaphor (unlike Napolean’s Army which marched on its stomach, The Salvation Army ‘marches’ on its knees in prayer). The book’s essential purpose seems to be to motivate Salvationists, by means of explaining the why’s and wherefore’s of prayer, without providing anything very much in the way of practical structures or guidelines, which is a little bit disappointing, but the chapter on fasting was very good. I have had a long on-and-off relationship with the Salvation Army, from Corps Cadets youth group as a teenager, through working (for most of my working life) at THQ in London, to infrequent attendance at various Salvation Army Corps around the country wherever I’ve been living. But this year I am planning to cement our relationship by becoming a soldier – more on that as my application progresses – and I am setting out to read some classic Salvationist texts. ‘Aggressive Christianity’ is a series of addresses given by Catherine Booth. It wouldn’t be quite fair to call her the wife of the Founder, as her influence was substantial, and from the outset women were allowed equal status, rights and responsibilities in the Salvation Army. The sermons were collected in 1880, but have a surprisingly pertinent, modern feel to them. Excusing the use of some archaic language (which I like actually, as I happen to be a KJV fan), Catherine Booth’s arguments seem just as relevant over 130 years later. She talks with passion about the imperative for Christians to be at work rescuing people out of the ‘flames of hell’ – she wasn’t just talking of alcoholism, drugs, prostitution and the like of course, but of a real possible future eternity in ‘hell’. Whether or not Christians today believe in future damnation, there are still people for whom life is a living hell, who could be helped if Christians were willing to go out and rescue them. But what if? What if the modern sensitivity and rejection of the whole idea of hell is misplaced? How motivated should a church that believed in hell be to make sure that nobody would perish? Aggressive Christianity is also a round rejection of ‘easy-believism’, emphasising the imperative for repentance and holiness. A modern discussion would certainly want to explore what is meant by the terms, but Catherine Booth’s passion is infectious, and although many Christians may take issue with some Salvationist Theology, (not only their belief in hell, but also their rejection of Communion and Baptism, and their belief that salvation once gained can subsequently be lost, which appears to be a works-based salvation), I’m inclined to think that this little volume should be required reading for anybody considering going into ministry, and perhaps for all Christians. Review of the Decade so far! In the three or more years since I posted, a great deal has happened to us. Firstly we have lost three babies – identical twins at 14 weeks due to TTTS (twin-to-twin transfusion syndrome) in 2010 and then a singleton in early 2012. My Dad died after a long illness in February 2011. The very next weekend we moved from the city to a very remote location in Devon where we had no internet access (even dial-up wouldn’t function due to the very ancient split-line technology!) We have now moved again to a slightly less remote location in Cornwall. The timing of this original move was extremely painful, and a terrible wrench for my mum who was left behind. In January 2012 our middle son was diagnosed with Type1 auto-immune Diabetes, a week after my last miscarriage. Again, the timing of this was extremely hard. Type1 Diabetes is often called Juvenile Diabetes, since it is often (though not always) diagnosed in childhood. This was a shock but not entirely a surprise – I had suspected diabetes for a very long time indeed, although I did not know the difference between types 1 and 2. More on that later, as it is a BIG subject and has utterly changed our lives as a family. My eldest son has now turned 18 and left homeschool for Sixth Form college at the school where his dad works, which has made for a much easier and pleasant transition. For those of us left at home though it is a challenge to adjust after having him at home with us for almost 15 years! It is truly a life-change for me as well as for him. The eldest two joined Scouts and Explorers (the younger two tried cubs and Scouts but couldn’t get on with it). I also started as a helper with Beaver Scouts, but had to give it up when I was without transport. I hope to take it up again this year. We were sadly forced to sell our house at a loss in 2012 after our tenants did a very good job of destroying the place (and we, being green and naive at the time had not thought to obtain landlord’s insurance, or even a deposit – the tenants were people we knew who were down on their luck and we thought we would do them a favour, which makes what they did all the more heartbreaking). So we are in rental accommodation again with no hope at this moment of buying a house again, sadly (unless our situation changes). The one good thing about that is that rental prices where we are now are fairly reasonable and we have a much bigger house than we originally left. We have been in this house now for just over two months, and we are still in a mess! I am slowly going through everything trying to streamline and adjust to our new circumstances (with no garage or shed, and not allowed to use the loft space, which does nullify the extra space somewhat). In between leaving our own home and coming here, we actually moved in effect five times: to an enormous rental house in a village in Devon, but which we had to leave after flooding. Secondly we lived for almost three years in a much-to0-small bungalow in another very remote village in Devon, but were flooded out after just a month in August 2011 and had to stay in a cottage temporarily. We moved back into the bungalow in October 2011. The bungalow was located in the most spectacularly beautiful countryside, with farmland all around. Sadly the experience was marred by cluster flies that we couldn’t get rid of, and crashing my car which made the whole of 2012 a very difficult year for me, with a 7 mile walk to the bus stop, we didn’t get out much! Our new location is less remote, being 5 miles outside town instead of 15 miles out. At a pinch, if I were without transport again,’ it would be conceivably possible to walk to the local post office which is a couple of villages away, or even into town if I needed to. However, after more than 10 years with a non-descript semi-diagnosis of CFS (‘chronic fatigue syndrome’) I finally obtained a more firm diagnosis of ME (‘Myalgic Encephalomyelitis’) again, another huge subject which merits further discussion. It’s not a diagnosis I am pleased to receive, and I still hope that it is wrong and have spent the last few months persuading my new GP to run tests to eliminate every possible other thing it could be, without any helpful results so far. I have not found a suitable fellowship since we moved, and believe me I have looked very hard indeed. There used to be a Messianic Fellowship in Devon some years ago but it is long gone now. I have tried to make friendly links with Christians in the area though, and visiting several different Salvation Army corps in Devon and Cornwall. Sadly none of them are very close by, but I tend to be most comfortable with The Salvation Army as it is an active, working church. I have tried without success as well to find believers friendly to Israel who would be interested in forming a prayer group, but I’m sure that will come about in the L-RD’s time. So all in all, this decade has been a very hard one so far, but I am confident that with this move, things are looking up, and I am looking forward to a year full of blessing.